He has his name on the Stanley Cup. 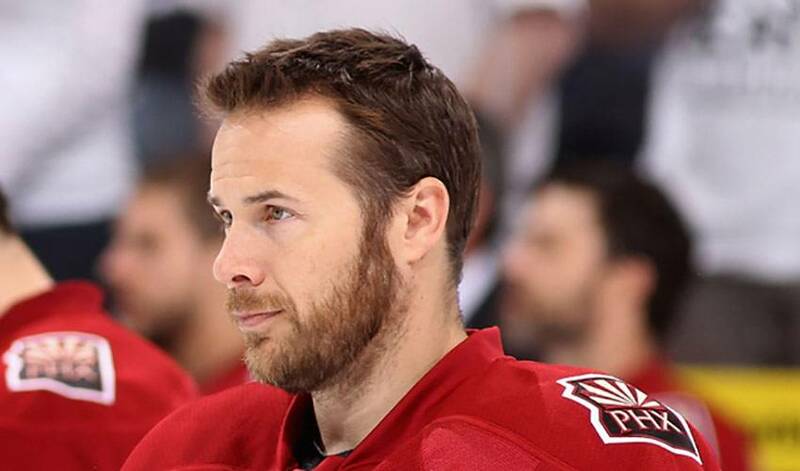 He’s played in over 1,200 career big-league games and is one of the most respected veterans in hockey. And at age 40, Ray Whitney is still going strong. The 23rd overall selection of San Jose in the 1991 Entry Draft, Whitney reached the 1,000-point plateau (an NHLPA-recognized milestone) on March 31, 2012. The former Edmonton Oilers’ stickboy, who has appeared in three All-Star Games, might have some slick moves on the ice, but when it comes to his moves on the dance floor, he isn’t quite as smooth. Find out more about the pride of Fort Saskatchewan, Alberta, in this edition of Between the Bluelines. Ray Whitney has had his share of good and bad throughout his impressive NHL career. Yet through it all, the forward never threw in the towel. When there were questions surrounding just how long he’d last in the league, the player who recently signed as a free agent with Dallas kept his focus and worked tirelessly at his game. The end result? A career he has plenty of reasons to be proud of.